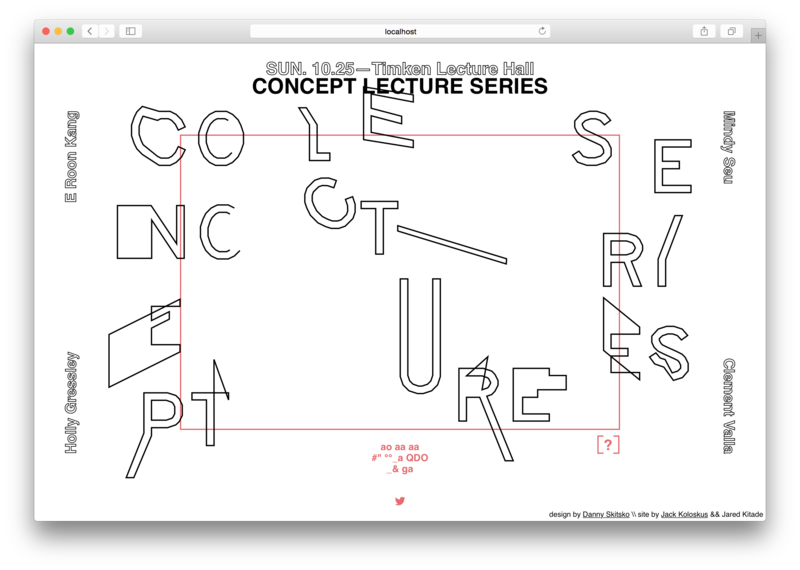 Working in conjunction with Danny Skitsko, Jared Kitade, and Chris Hamamoto, I helped create the website for CCA's annual Concept Lecture Series. This year's theme was toolbreaking and glitches, so we set out to bend and break an OCR script. Starting with deformed letterforms, we encouraged people to manipulate the letters, which would then be interpreted and outputed by the OCR script. 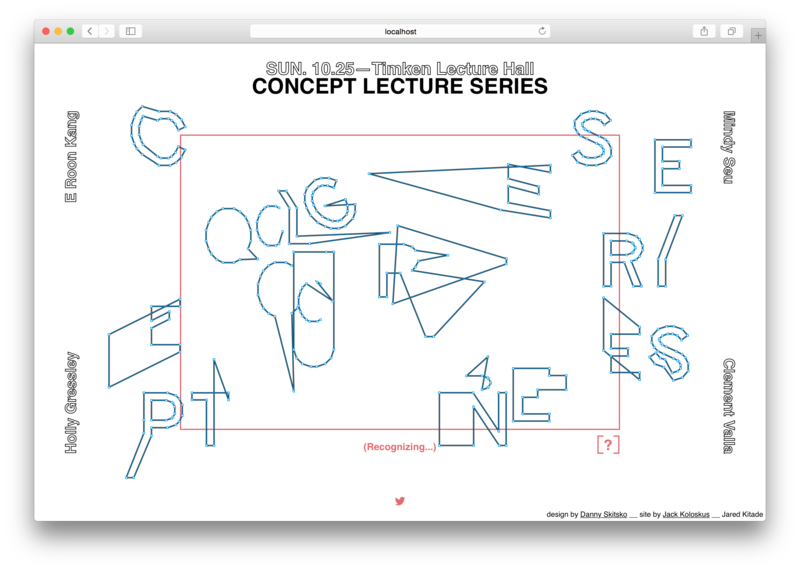 Whether they choose to try and spell a new word or simply trick the script into outputting as many characters as possible, users could then share their broken version of "Concept Lecture Series" in a tweet.